There are similar versions of this drink around. Similar, but not nearly as good. 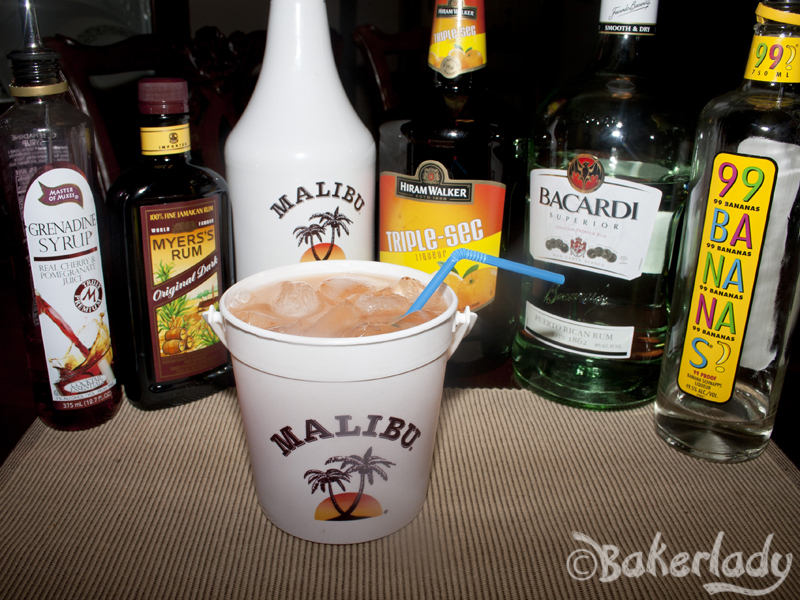 You may have heard them called a Bahama Mama, Rum Runner or The Bucket. It’s famous in my family as “that thing Lizzy makes that’s sooooo good and totally full of alcohol”. Lizzy is my baby sister Elizabeth. She’s a bartender and she made up this drink. She loves pirates, mostly the Johnny Depp variety. Especially when he says “Elizabeth”. So, she named it Pirate’s Punch. It’ll make you walk and talk just like Depp’s “Jack Sparrow“. Ahem. Sorry. Captain Jack Sparrow. Yeah, as you can tell by the picture, it’s a LOT of stuff. But they all blend together and make the most delicious, perfectly marvelous beverage. I make this by feel. Meaning, I turn the bottles over and count to 5. Then top off the remaining room in the bucket with half pineapple half orange juice and finish with the floater of rum and a little swirl of grenadine. I’ve tried to give you actual amounts for all the liquors – it’s equal parts everything except the floater. The key here is that you MUST use some kind of bucket or red solo cup to serve this in. Otherwise you’ll just have sticky juice and alcohol all over your counter. And probably your floors. And nobody wants that. Especially whoever actually has to clean it up. It won’t be you. No. You’ll be too busy singing “A Pirate’s Life for Me” and thinking about how hilarious Johnny Depp is. 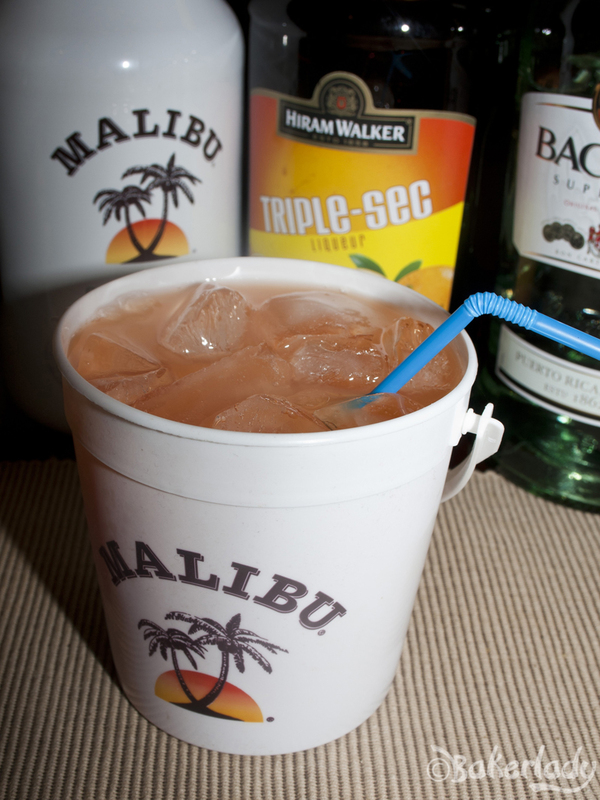 Fill a large solo cup or bucket with ice. Add all ingredients except the dark rum and grenadine. Stir to combine. Swirl grenadine once around the inside of the cup/bucket. Add floater (about 1 ounce) of dark rum.